Music as passionate is it is prophetic, Martin Smith's new album Iron Lung offers a style of worship that manages both intimacy and a surrender. Following his 2018 Love Song For A City recorded around the globe, Martin now releases an all new studio album, Iron Lung (available May 2019) and featuring new singles "Great and Glorious" and "Fire's Gonna Fall." This is a top quality recording which really captures Martin at his best. It's an album full of anthems and songs for the stadiums, churches and home. Martin (with his trademark prophetic edge) brings us songs here that are bold, impactful, intimate, honest and vulnerable. There are co writes here with Chris Tomlin, Bethel's Amanda Cook and Worship Central's Nick Herbert. 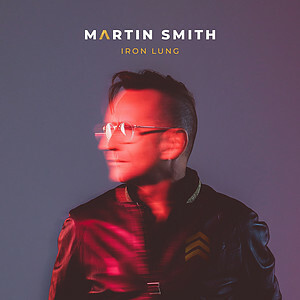 Iron Lung by Martin Smith was published by Integrity Music in May 2019 and is our 1033rd best seller. The ISBN for Iron Lung is 0000768721025. Be the first to review Iron Lung! Got a question? No problem! Just click here to ask us about Iron Lung.